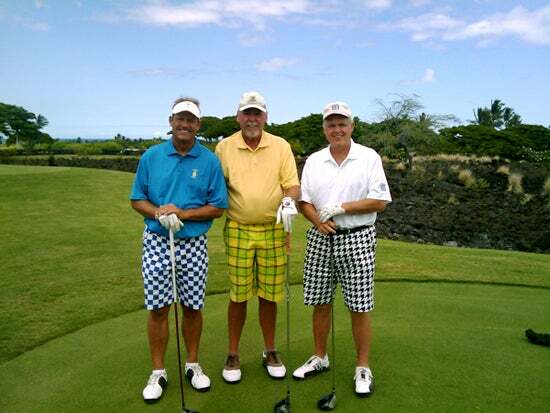 George Brett, Mike Hartley (Hawaii host) and El Rushbo. 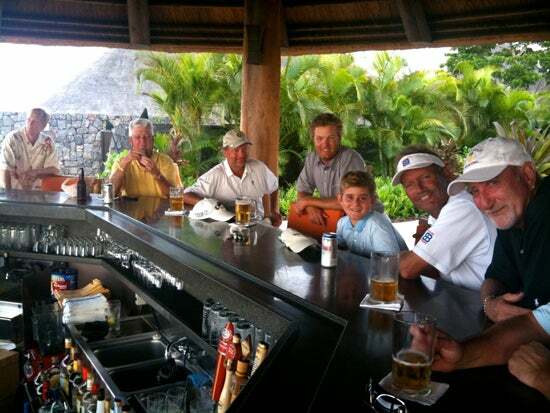 A 9-iron from 152 to 4 feet from the hole at Kikuo. 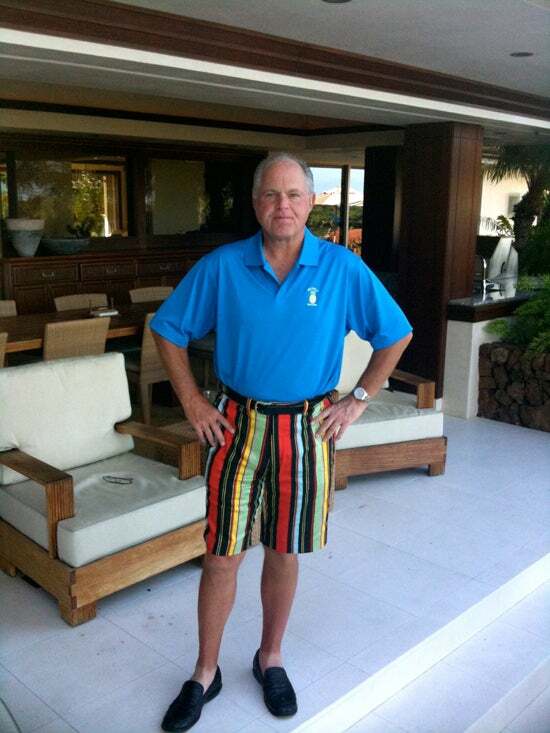 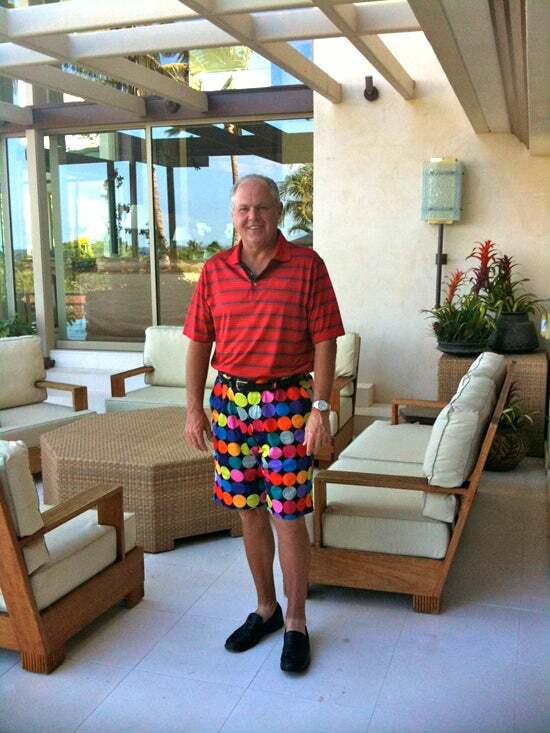 The shorts are from Loudmouth Golf. 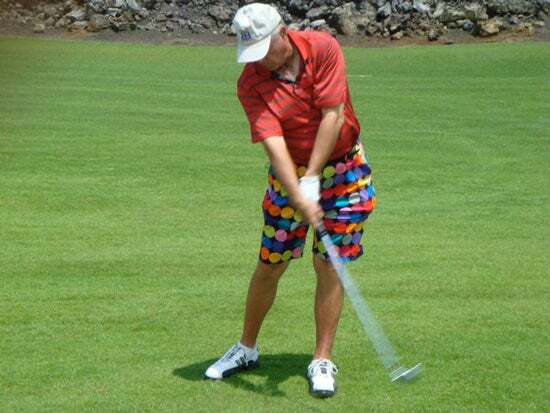 Another wild pair of Loudmouth Golf shorts.